At the heart of my DIY endeavors lies this basic premise: I want projects to be simple, affordable, and attractive. Given this, I've shared this week about reinvigorating a home with color and solving a common problem with bathrooms. I've given my best stenciling tips and explained how I recently beautified an old end table that I snagged at a garage sale for just five dollars. 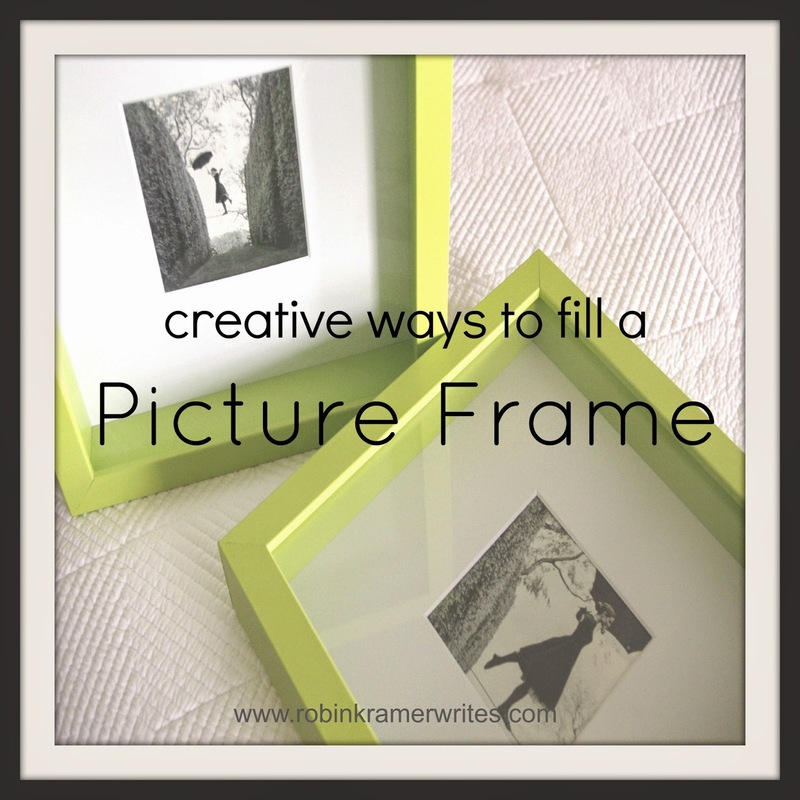 It seems so obvious, after all: pictures go in picture frames! But let's think beyond the box, wrap up DIY week with a bang, and examine several fresh ways to fill picture frames besides actual pictures. Rethink scrapbook paper or fabric. If you've ever walked through a craft store, admired the aisle of scrapbook paper, and then thought, It's pretty, but what would I do with a piece of paper? it's time to reconsider. Scrapbook paper doesn't need to wind up in a scrapbook. It can wind up in a frame instead. Take this piece of yellow ombre paper, for instance. 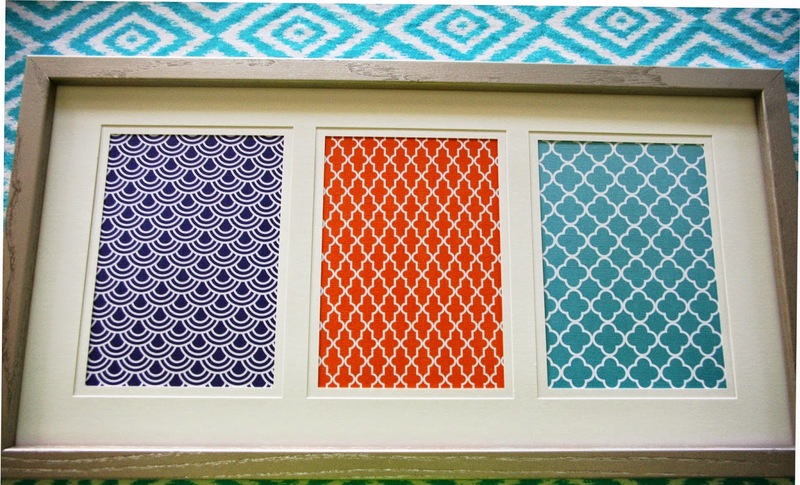 Or consider these navy, orange, and aqua graphic prints on cardstock that I've grouped together in an old frame revived by a coat of brushed nickel spray paint. Whether by itself or in a set, interesting pieces of paper can be frame-worthy. 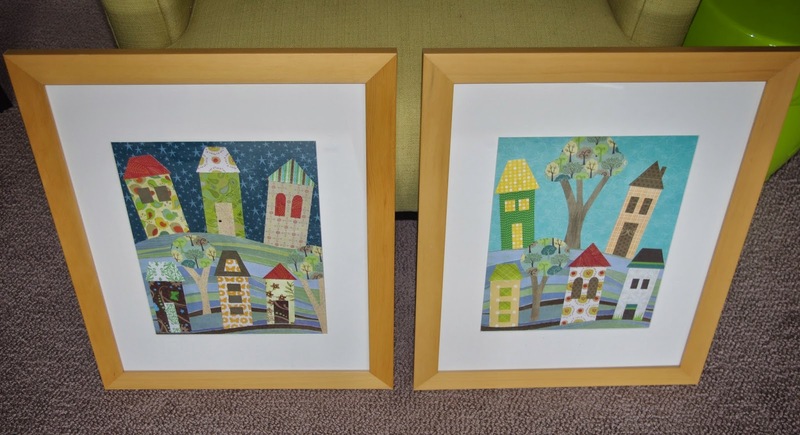 If you want to get more involved, you can use scrapbook paper to create a scene, like these framed day-and-night villages that I made years ago and hung where my kids play. Repurpose pictures from magazines or cards. While I said I'd use this post to explain how to fill picture frames without using pictures, I primarily was referencing our own pictures -- those photos we take where the horizon is crooked, the child is blinking, or the power lines are marring the otherwise beautiful landscape. But other people's pictures? More specifically, pictures from magazines or greeting cards? Those are great to frame! I was given the January 2014 issue of Real Simple magazine (super fun!) and was immediately drawn to the feature article about achieving work-life balance. I kept coming back to the photo spread: black and white shots depicting feats of balance with poise and strength. I tore out the pages and found a bright way to preserve two of my favorites. These frames now hang beside my DIY computer desk and serve as a continual (and visually engaging) reminder to keep life balanced and in perspective. Spell it out with letters. This is one of my favorite wall art ideas: the spelling of our last name with pictures of letters from places that are significant to our family, like our church, the hospital where our children were born, the university we attended, and a local dairy with awesome milkshakes. Of course, you don't need to use letters just to spell your name. 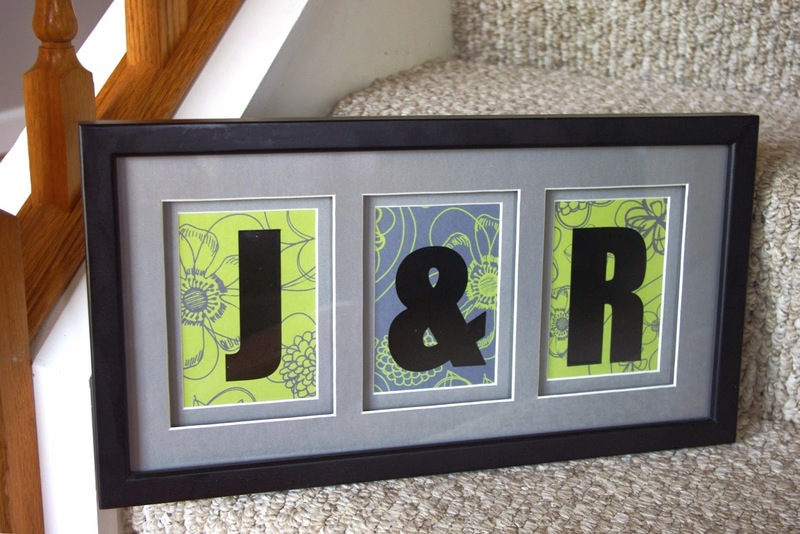 I found these bold letter stickers for a quarter each, and I created a frame with my husband's and my initials on scrapbook paper. 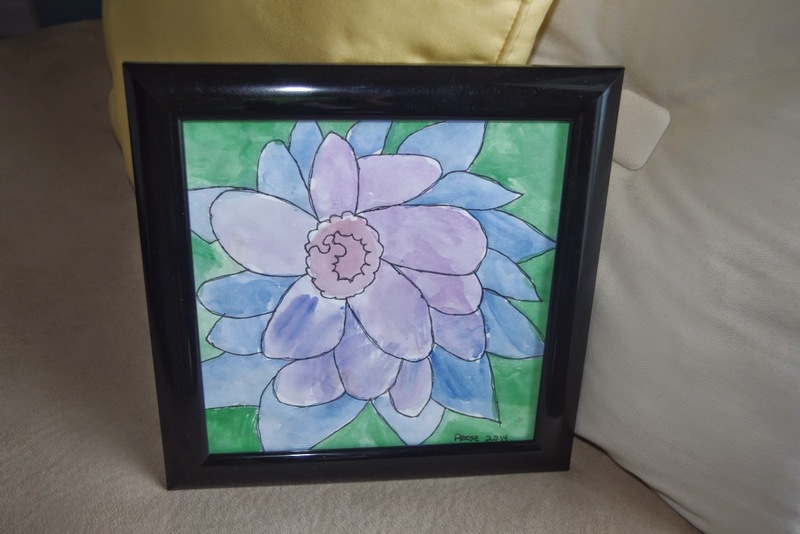 Showcase your child's artwork. Now, our refrigerator is a constantly-rotating children's art gallery limited only by the number of magnets we own, but this particular painting was a Mother's Day gift from my nine-year-old. 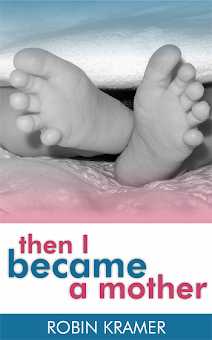 It now hangs in our bedroom and makes me think of my daughter each time I see it. In short, don't limit yourself to photos! 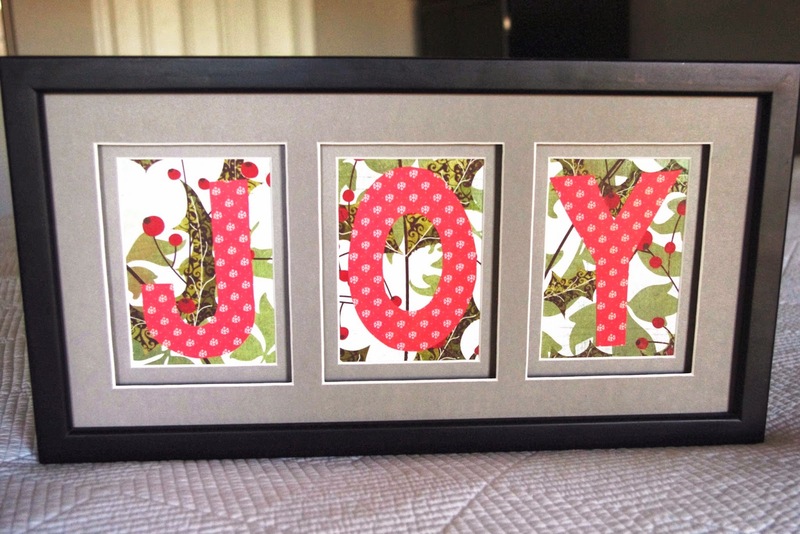 Whether using scrapbook paper or fabric, repurposing favorite pictures from magazine or greeting cards, spelling out a special message, or showcasing your kid's artwork, there are plenty of ways to make the most of picture frames as you decorate. Glad to hear that you like the ideas, Mari. Your last name has the perfect amount of letters, too! I love these ideas! I frame all of my kids artwork too! Nice to meet you! Nice to meet you too, Kristen! Thank you for stopping by! These are all wonderful ideas Robin! I love the village scenes you made - so cute! I also like the colourful graphic prints too! You're really transforming your abode... are you prepping for the fall? I find August - October are my most productive times of the year.